Skiing--like surfing, fishing, sailing, mountaineering and climbing--is an environment sport. It doesn't come to us--we must go to the places where it happens. The ones who are most committed to these places, who fall deeply in love with mountains and the alpine life, are not only athletes, but rather people who have chosen to live their lives in a particular way. 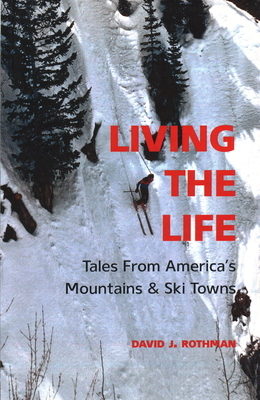 This is a book for all those people--for the skiers, the climbers, the alpinists and the people who love mountains and live in them, for all those who have ever lived that life or who dream of living it. In thirty-eight tales of adventure and self-discovery, adrenaline and honesty, Rothman reveals the soul skier's raison d' tre: to find exhilaration, faith, grief, laughter, love, and everything else that truly matters in the heart of the mountains. David J. Rothman is a former NCAA Div. I alpine ski racer, mountain sports journalist, and ski-and-snowboard-academy headmaster who currently teaches creative writing and composition at the university level. He is cofounder of the Crested Butte Music Festival and poet-in-residence for Colorado Public Radio. He lives in Boulder, Colorado.